Fifteen years ago, Britain produced a new Act -a knee-jerk reaction, some claimed, to a number of appalling attacks on humans, including little children, by dangerous dogs. No sane citizen wants to see such horrifying attacks repeated; any dog which savagely attacks a person without warning must be humanely destroyed. This new Act, the Dangerous Dogs Act of 1991, soon became the 'pebble in the pond' in dog-control legislation, the ripples spreading far and wide, as other countries mirrored our action. Even French Bulldogs, a most inoffensive little breed, were banned in one location in North America. 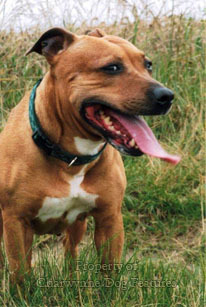 The Act was drafted quickly, following tabloid hysteria over 'devil-dogs', with the American Pit Bull Terrier picked out for special treatment. But sadly it didn't stop there, the Act covered any dog which looked like a Pit Bull, leading to hundreds of cross-bred Bull Terriers and Staffies, perfectly innocent dogs with admirable temperaments, being seized and subsequently destroyed. The Act is not admired by anyone who values justice and respect for the law. Do you? Just over fifteen years ago, a notice appeared in The Kennel Gazette, the official monthly publication of the Kennel Club, which read "Dangerous Dogs Bill: The Kennel Club fully supports the Government on its legislation to deal with dangerous dogs." The Home Office, when drawing up the bill relied on advice from two particular organisations: one dealing with breeds of dog, i.e. the Kennel Club, and one concerned with animal welfare, i.e. the RSPCA. Of these two bodies influencing the wording, and therefore the implications of the Act, the Kennel Club had absolutely no knowledge of Pit Bull Terriers, or of the three breeds subsequently added to the banned list: the Japanese Tosa, the Fila Brasileiro and the Dogo Argentino. The other body, the RSPCA, had a mandate to prevent cruelty to animals NOT cruelty by animals. So much for the judgement of the Home Office. Exercise your judgement and lobby your MP! In his book The Turbulent Years, Kenneth Baker, the Home Secretary responsible for the Act, wrote that 'The Kennel Club supported the idea of pit bulls being put down.' The initial application to the KC for the registration of the Dogue de Bordeaux was refused because of 'an apparent fighting background'. In 2005, the KC registered nearly 2,000 of them. The Kennel Club, now thankfully under different management, has changed its corporate view, after accepting that breed-specific legislation is unjustifiable. Commendably the KC has more recently held talks with the Home Office about amendments to the Act. But their past foolishness has undermined their credibility as well as their standing in dogdom. If the Home Office regards the KC as an organisation concerned with breeds of dog and the KC now realises that the danger does not reside in breeds, then logically surely the KC should not even be discussing this Act with government. It would be more understandable if the KC were to say to government: 'since the problem is not rooted in breeds of dog, and you regard us as an organisation concerned with breeds of dog, we cannot honourably sit at your table'. Is the KC sufficiently pro-active? The KC will no doubt argue that since their overall mandate is the improvement of dogs they can, on those grounds, speak to the government on this issue. The KC's original support for the Act hasn't done much to improve the lot of dogs, even Staffordshire Bull Terriers registered with them having been destroyed under the provisions of this ill-judged Act. 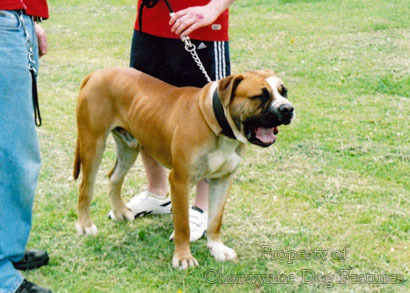 The target of the Act was breeds of dog 'specifically bred for fighting'. But the Act does not mention breeds once bred for fighting, such as the Bull Terrier, the Staffordshire Bull Terrier, the Perro de Presa Canario and the Chinese Shar Pei, yet bans two breeds never specifically bred for fighting, the Dogo Argentino and the Fila Brasileiro. So much for the expert advice from those bodies which were consulted! Ridicule them! When I wrote to the Home Office to point out this anomaly, they replied that the Bull Terrier and the Staffordshire Bull Terrier were no longer bred for fighting, but that rests on the supposition that the banned breeds were and still are bred specifically for fighting. It is worth looking at say two of the banned breeds for any evidence of that. 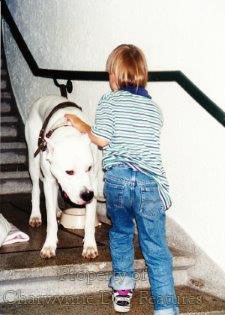 The Dogo Argentino was created by two brothers, one a professor of genetics, the other a lawyer. The former, Dr Antonio Nores Martinez, blended a number of breeds in the pursuit of a hunting mastiff used on formidable quarry such as wild boar, jaguar and puma. He created a hunting dog breed; he was not seeking nor was he breeding fighting dogs. He was a highly respected law-abiding academic, and his breed is now the national breed of Argentina. 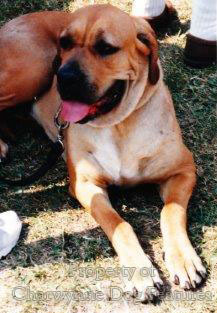 Similarly, the Fila Brasileiro was bred to hunt jaguar and round up recalcitrant bulls for ranchers, not for fighting. The breed was known in some parts of Brazil as 'onceiro' or jaguar hunter. It was never intended to be a fighting dog, was never bred to be one and I can find no record of the breed's use in such a way. As a breed its temperament is prized as a breed feature; this breed has probably undergone more temperament tests than any other, as a direct result. It is the national dog breed of Brazil. 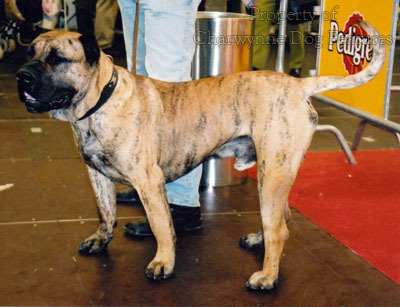 Both these South American breeds and the Japanese Tosa are recognised by the international kennel club, the FCI, shown at dog shows all over the world without incident and are valued trusted family pets. So much for the knowledge and wisdom of those sages in Britain who identified such breeds as 'specifically bred for fighting' and as 'dangerous dogs'. It is however a sad truth that any dog can be made savage by human misuse. A powerful savage dog is a particular menace. The public have a right to be protected from such dogs and I am all in favour of effective measures taken to achieve this end. Banning a breed protects no one; controlling the ownership of powerful dogs, especially those bred 'to persist', can protect the public. A powerful dog in the wrong hands is a potential danger; it is both unwise and absurd to allow just anyone to own such a dog. We rightly question the right of anyone to possess a lethal firearm and grant a licence only where this is justified. A powerful uncontrolled badly trained under- exercised ill-kept dog of any breed can be dangerous. The owner should need a licence. This could be good for powerful dogs too; they are the ones which lose their lives, not their sometimes inadequate incompetent or even evil owners. In the wake of this ill-conceived Act, the nation endured a number of sad 'dog-trials' involving dogs condemned to death for their appearance alone. At one time there were over 300 dogs in London kennels alone, awaiting execution through identification. Vets, untrained for such a task (according to their own professional body), animal welfare 'investigators', paid to prevent cruelty to such creatures not cause their death, and policemen, lacking any genuine expertise at all, were all allowed to act as 'expert witnesses' in these Alice- in-Wonderland courts. Respect for the law undoubtedly suffered, the public lost their confidence in our judicial system but it was the dogs which lost the most -their lives. A number of quite admirable individual citizens stepped forward at this time: Juliette Glass of the Fury Defence Fund, David Levy of Pro-Dogs, John Branch representing the Staffordshire Bull Terrier and Ann Harpwood and Jenny Dennis of Justice for Dogs. I salute them! But their work is unfinished. So is ours! The role of the RSPCA in the drafting and then the implementation of this ill-designed piece of legislation has brought them little but scorn. One RSPCA inspector alone led the prosecution in 64 cases involving cross-bred pet dogs, from Staffie/Boxer/Labrador/Ridgeback blends, none of them in court for aggression, only 'identification' as looking dangerous! 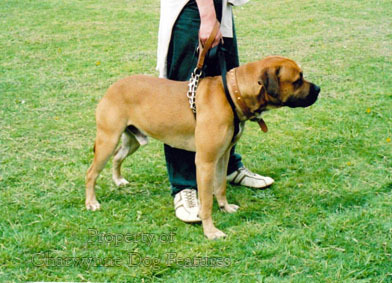 In the longest ever DDA case, an RSPCA inspector declared that a Labrador-Ridgeback cross had 'Pit Bull characteristics', listing these as 'a short bristled coat, deep-set eyes, well- bent hocks and stifles and being long-coupled'. Pythonesque overtones apart, such a vague limited description could apply to every podengo in the Mediterranean littoral. Stop donating! The Act is still breed-specific even though the senseless mandatory death penalty has been lifted, You can however still legally import a Canary Dog (Perro de Presa Canario) despite their being, in the past, specifically bred for fighting, or the even bigger Caucasian Owtcharka, which is still used in Russian dog-fighting contests and are often permanently muzzled at dog shows. I have no problem with these breeds; I am pointing out the inconsistencies in the wording of the Act. Fingers are still sometimes pointed at our native Bull Terriers and Staffordshire Bull Terriers, not out of justified concern, but because of the wording of the Act over 'type'. The leggier so-called 'Irish Staffies' are actually named as suspicious in some documentation; I attend the shows for such dogs, family occasions for much-loved very well-behaved pets. Human rights? The Department for the Environment, Food and Rural Affairs, mercifully shortened to DEFRA, or DEAF-RA by farmers! has issued guidance on the importation of banned types of dogs. The word behaviour does not feature in their directive; dogs banned from importation are judged on their appearance. Despite a High Court ruling that the ABDA (American Dog Breeders' Association) Standard was 'significantly the best standard to use' when judging a dog to be of Pit Bull type, DEFRA elects to find words of their own to describe such dogs. Their word picture could so easily lead to Labradors being denied entry, so broad- brush are they. But DEFRA, like the dogs, are merely victims of the Home Office's flawed Act. Having exhaustively researched the 'modified brachycephalic' or mastiff breeds for my book on them, I was anxious to discover the evidence of two of the banned breeds, the Dogo Argentino and the Fila Brasileiro, being specifically bred for dog-fighting. This is important! Using the Freedom of Information Act as a means of entry, I approached the Home Office for enlightenment. I had approached DEFRA three months earlier but they claimed to have no record of my two letters, addressed to two separate departments; their 'press office' did manage to put together a weasel-worded lightweight ill-informed response. The Home Office did reply but to inform me that it would cost me at least £.600 to obtain documents under the FoI Act. I therefore approached the KC, as the body concerned with breeds of dog consulted by The Home Office in the run-up to the drafting of the Act. They replied commendably quickly but apparently had no correspondence on their files regarding the evidence used by the Home Office in naming specific breeds for proscription. Is there any? When a misconceived Act leads to a Toy Poodle, a Yorkie and a toothless mongrel being charged as being dangerous, when a blameless Staffie cross called Lacey can be incarcerated in solitary confinement at secret kennels for over eight years, and then die in custody, we have every reason to be ashamed of such an Act. This Act has been condemned by the Better Regulation Task Force, the government's official judge of effective legislation and opposed by the Federation of Veterinarians of Europe, which speaks for the Continent's animal doctors. It doesn't need reforming; it needs discarding; it merits obliteration. No truly compassionate society can surely tolerate such mis-conceived ill-judged badly-worded ignorantly-composed mainly-malevolent legislative folly remaining on our statute book. But, as the l7th century English philosopher John Locke pointed out: "It is one thing to show a man that he is in error, and another to put him in possession of the truth." Where are the highly vocal single-issue lobbyists on animal welfare when dogs are being ill-treated? All over Britain, every day, thousands of humans conduct fitness training on treadmills. Heart patients are diagnosed through the use of them. But put a dog on one and our leading animal charity immediately assumes that training for dog- fighting is being conducted. Is that not anti-dog? Why should human fitness be encouraged but dog fitness be suspicious? The police are worried that criminals are using powerful dogs as weapons; is their extremely vocal top brass canvassing for powerful dogs to be licensed -no! Who is going to protect powerful dogs from criminal use? Which do we dislike more: dog- licences or dog-abuse? The consequences of this harmful Act are still creating cruelty to dogs. We are saddened when a wretched Staffie/Labrador mix called Kizzie dies after 4 1/2 years in police kennels but still sleep soundly in our beds at night. Nation of dog-lovers? I don't think so. Speak up! Speak up!